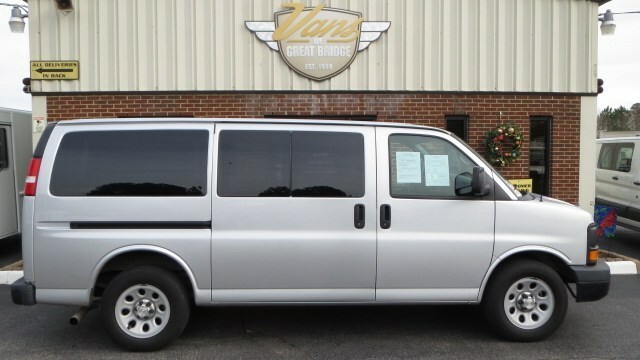 Work Van / FLEET MAINTAINED / WORK READY!, 4-wheel ABS brakes,4.3 liter V6 engine,Air conditioning,Automatic Transmission,Compass,Daytime running lights,Dusk sensing headlights,Engine hour meter,Front seat type - Bucket,Fuel economy EPA highway (mpg): 20 and EPA city (mpg): 15,Head airbags - Curtain 1st row,Intermittent window wipers,Passenger Airbag,Power steering,Rear-wheel drive,Tachometer,Trip computer, 2010 Chevrolet Express G1500, Located at Jumbo Auto and Truck Plaza, 760 S 441, Hollywood FL., Serving Broward, Dade, and Palm Beach counties. Save Here, NO DEALER FEE! Financing for all credit types -Top dollar for your trade -VIEW A FREE CARFAX REPORT RIGHT NOW @HOLLYWOODKIA.COM!! OVER 1,000 NEW AND USED CARS IN STOCK! INVENTORY UPDATED DAILY-REAL CARS -REAL PRICES!! 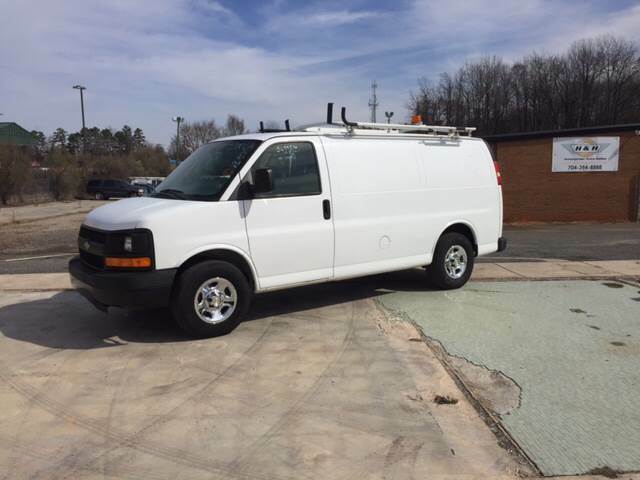 1500 3dr Van, Cargo Van, 2006 CHEVROLET EXPRESS 1500 CARGO, V6, AUTO, 141K MILES, FLEET OWNED AND SERVICED, NEW INSPECTION, RUNS AND DRIVES GREAT, LADDER RACKS, SHELVES, READY TO WORK, PRICED @ ONLY $6995. CALL NOW!!!!!!!!!!! DON'T WAIT!!! CALL US TODAY @ 704-394-8888 OR VISIT US 24/7 @ www.worktruckdeals.com OR IN PERSON @ 5006 BEATTIES FORD RD CHARLOTTE NC 28216 (AT THE INTERSECTION WITH SUNSET RD. NEXT TO WALGREENS) WE ARE OPEN MONDAY-FRIDAY FROM 8AM TO 5PM, CLOSED WEEKENDS. **If you have found this advertisement on any website other than worktruckdeals.com and would like to request more info or have someone from the dealership contact you, please leave the website you are on and visit http://www.worktruckdeals.com/contactus.aspx someone will be in touch with you shortly. Thank you!! 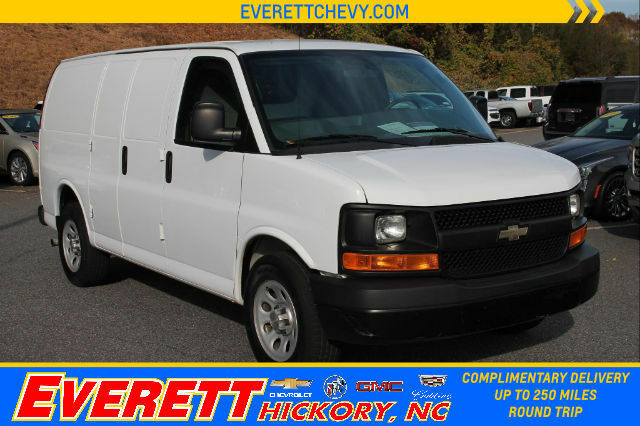 Express 1500 WV, WV, Treat yourself to a test drive in the 2013 Chevrolet Express 1500! The design of this vehicle clearly emphasizes dynamic style and agility! 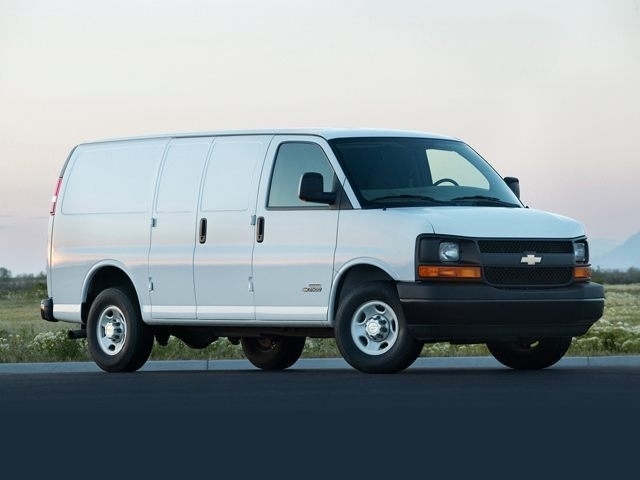 All of the premium features expected of a Chevrolet are offered, including: delay-off headlights, a tachometer, and much more. Smooth gearshifts are achieved thanks to the refined 6 cylinder engine, providing a spirited, yet composed ride and drive. We know that you have high expectations, and we enjoy the challenge of meeting and exceeding them! 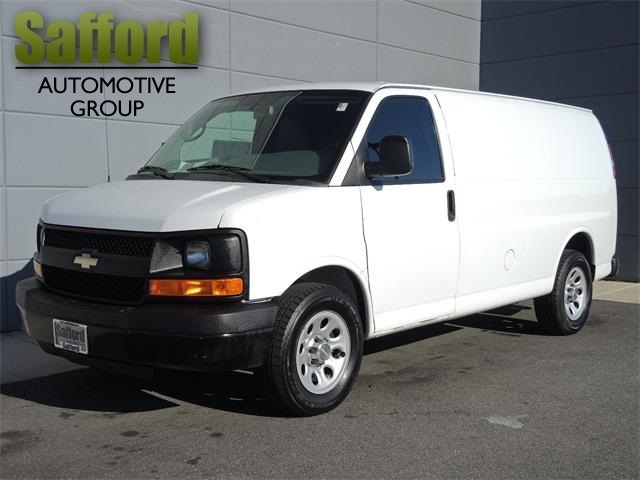 Stop by our dealership or give us a call for more information., Engine: Vortec 4.3L V6 MFI Treat yourself to a test drive in the 2013 Chevrolet Express 1500! The design of this vehicle clearly emphasizes dynamic style and agility! All of the premium features expected of a Chevrolet are offered, including: delay-off headlights, a tachometer, and much more. Smooth gearshifts are achieved thanks to the refined 6 cylinder engine, providing a spirited, yet composed ride and drive. We know that you have high expectations, and we enjoy the challenge of meeting and exceeding them! Stop by our dealership or give us a call for more information. 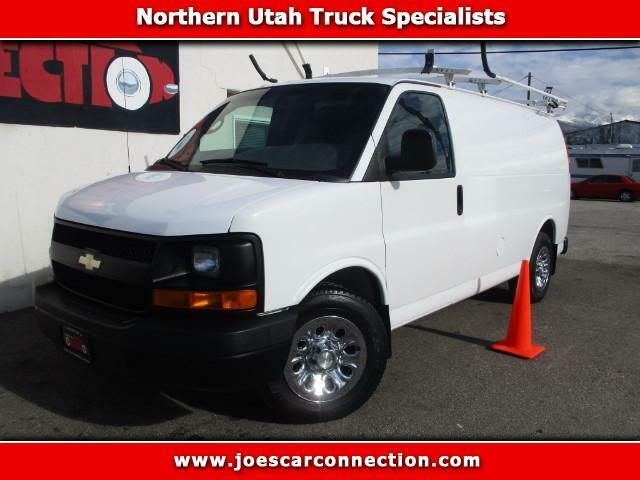 Express, Cargo Van, 1500 Cargo, Immaculate one owner Express 1500 series cargo van loaded with all the options you want. 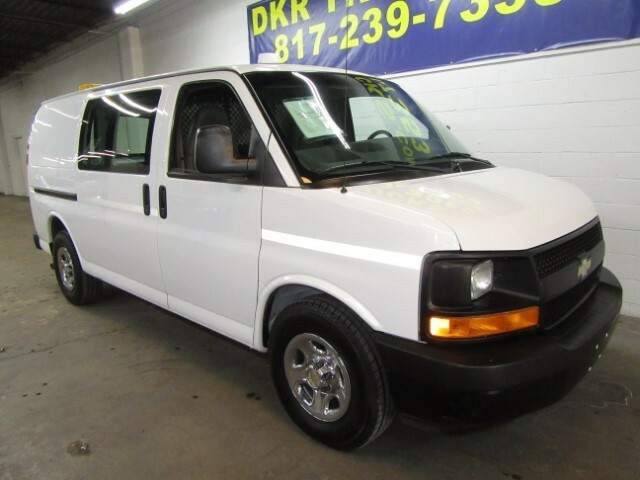 Power windows, Power door locks, AC, CD, Tilt wheel, Cruise control and lots more. Vortec 5.3 V-8 engine, new tires, as clean as they come at any price. Still under factory powertrain warranty. Come see what nice really looks like. We are not your ordinary dealer; we sell only the finest pre owned vehicles anywhere! All our vehicles go thru our strict reconditioning process and nothing is offered for sale until its perfect, PERIOD! We are very proud of our A Better Business Bureau rating, a rarity in our industry. Our vehicles may be priced a little higher than our competitors but once you see and drive one of ours the value is clear. If your looking for an average vehicle we are probably not your dealer, but if your looking for exceptional quality and outstanding service; your reading the right add. As the saying goes '' The bitterness of poor quality remains long after the sweet taste of low price is forgotten'' This is a nice one, you'll see the difference in one that has been just slightly used, and not abused! Once you see and drive this vehicle you'll appreciates it's quality. Just Fully Serviced and ready to ride! An excellent value for an Extra- Clean vehicle., come see it in person and you'll agree that this is what a pre-owned vehicle should look like. Nationwide shipping available. Joseph Motors Inc.; The Finest pre-owned vehicles available anywhere; PERIOD. We are often imitated but our quality is never duplicated! BBB accredited member Rated A ..Come experience how simple, honest and direct a pre-owned vehicle purchase should be.. You wont be disappointed. Visit Joseph Motors Incorporated online at www.josephmotorsnc.com to see more pictures of this vehicle or call us at 919-661-2886 today to schedule your test drive. 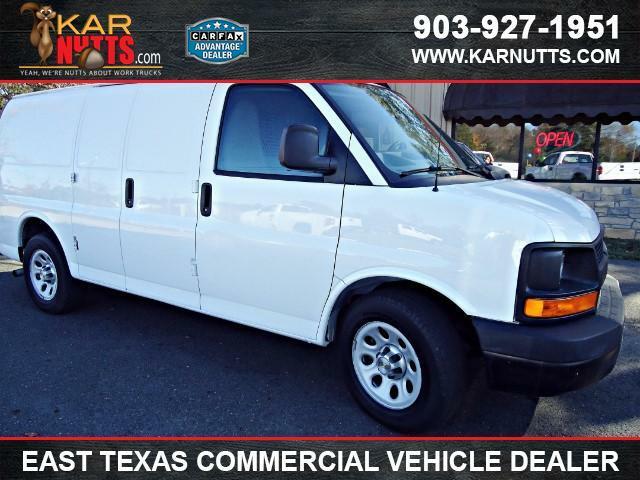 Express, Van-Minivan, 1500 Cargo, CALL KAR NUTTS TODAY 903-927-1951 ; WE ALSO OFFER 24/7 CHAT SUPPORT @KARNUTTS.COM KAR NUTTS IS NORTH EAST TEXAS INDEPENDENT COMMERCIAL VEHICLE DEALER WITH 30+ WHITE WORK VEHICLES! Our Inventory includes Trucks Service Trucks Box Trucks Vans Flatbeds and much more. 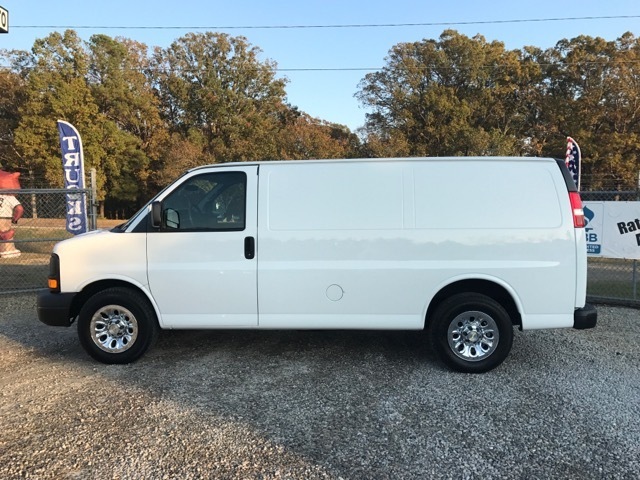 We have supplied many detailed photos to give you an accurate sense of how nice our vehicles are and also potential for prior paint on all of our vehicles. We put our name behind our vehicles and serve as a Recognized Trusted Advantage CAR FAX Dealer! Call us today @ 903-927-1951. For Additional information also use www.KarNutts.com or email deals@karnutts.com. YEAH Were Nutts About Work Trucks! 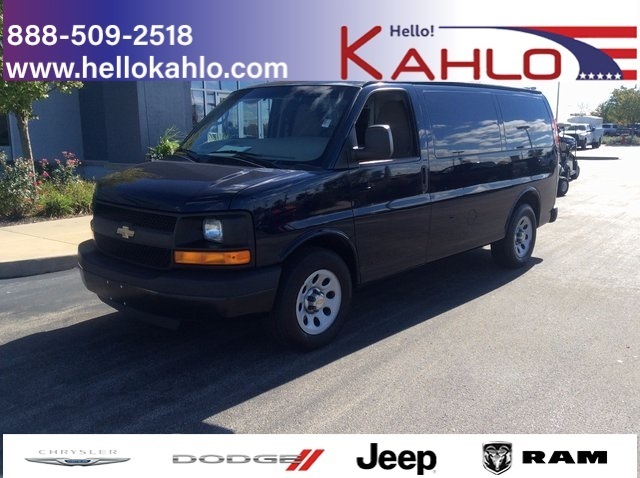 Express, Van-Minivan, 1500 Cargo, 2004 Chevy 1500 Express Cargo Van 5.3L V8 with A/C heat vinyl seats vinyl floors AM/FM and tilt. Serviced and ready for work.We are a family owned and operated business. We promise you will enjoy your vehicle buying experience at DKR. Financing is available. www.DKRTRUCKS.com We are open Monday-Friday 9am-6pm and Saturday 9am-3pm but you can call us anytime. DKR Inc. is located 1719 W. Division St. Arlington TX 76012. For more information call or text PETER at 817-239-7353. 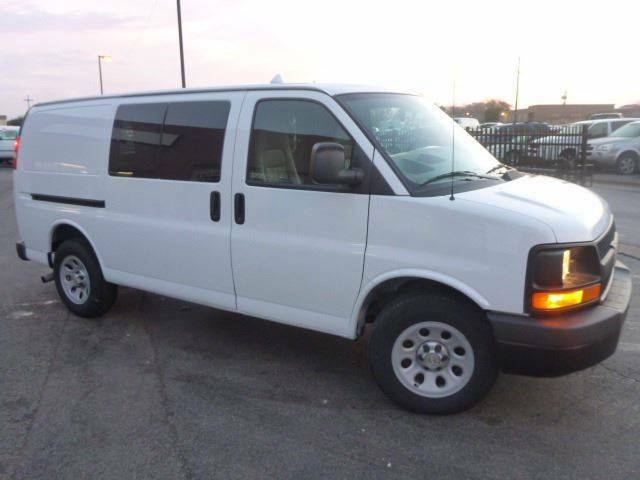 Express, Passenger Van, 1500 AWD, Wow! Look at this one. 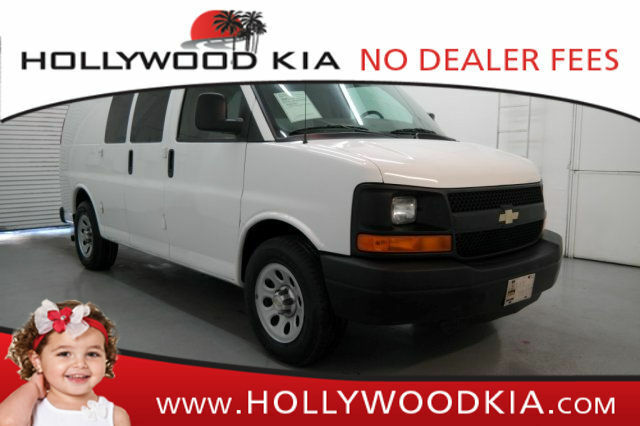 This immaculate one owner All wheel drive 8 passenger van is loaded with just about every option. 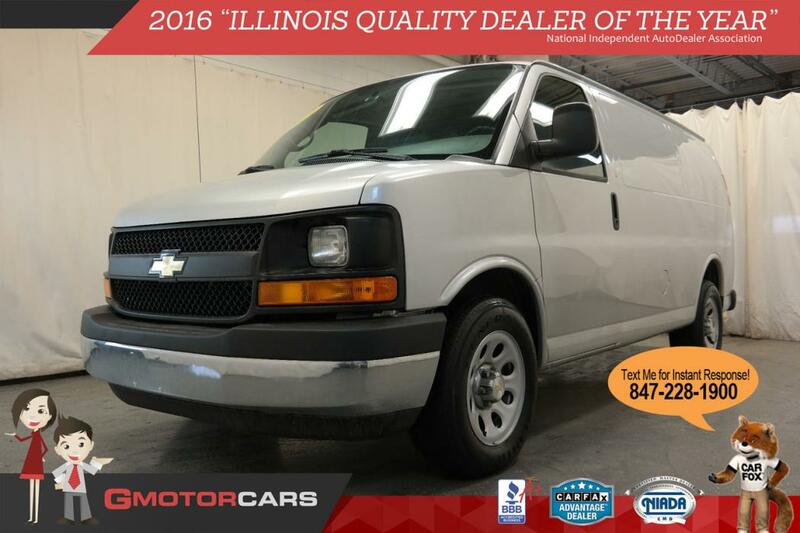 Power windows, Power door locks with Keyless remote, Power heated mirrors, Tilt wheel, Cruise control, Back up camera, Chrome package, Side airbags, Stabilitrak,Traction control and more. This vehicle has spent its life in rust free Arizona and just couldn't be any cleaner if it was new. All wheel drives are rare and this one is as nice as you will find. Come see what nice really looks like. We are not your ordinary dealer; we sell only the finest pre owned vehicles anywhere! All our vehicles go thru our strict reconditioning process and nothing is offered for sale until its perfect, PERIOD! We are very proud of our A Better Business Bureau rating, a rarity in our industry. Our vehicles may be priced a little higher than our competitors but once you see and drive one of ours the value is clear. If your looking for an average vehicle we are probably not your dealer, but if your looking for exceptional quality and outstanding service; your reading the right add. As the saying goes '' The bitterness of poor quality remains long after the sweet taste of low price is forgotten'' This is a nice one, you'll see the difference in one that has been just slightly used, and not abused! Once you see and drive this vehicle you'll appreciates it's quality. Just Fully Serviced and ready to ride! 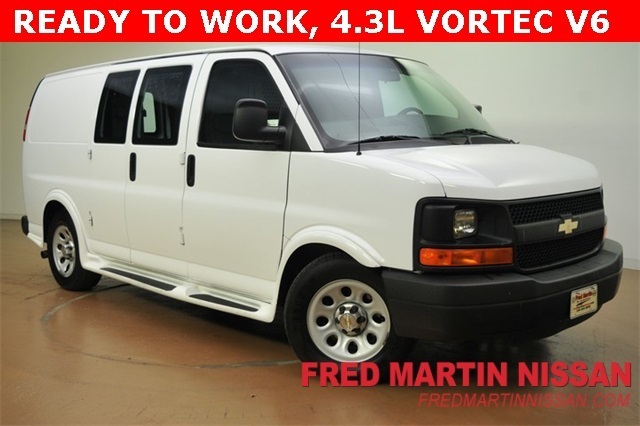 An excellent value for an Extra- Clean vehicle., come see it in person and you'll agree that this is what a pre-owned vehicle should look like. Nationwide shipping available. Joseph Motors Inc.; The Finest pre-owned vehicles available anywhere; PERIOD. We are often imitated but our quality is never duplicated! BBB accredited member Rated A ..Come experience how simple, honest and direct a pre-owned vehicle purchase should be.. You wont be disappointed. 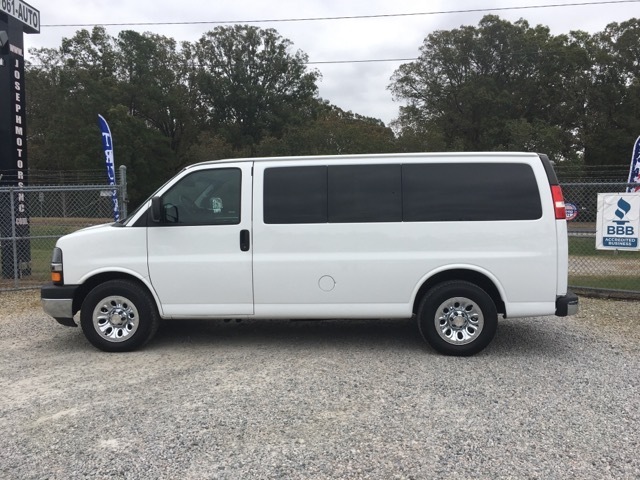 Visit Joseph Motors Incorporated online at www.josephmotorsnc.com to see more pictures of this vehicle or call us at 919-661-2886 today to schedule your test drive.